Panarea is a small volcanic island north of Sicily. The island consists of the top of a volcanic complex which rises from 1200 m below sea level, with a total surface area of about 460 sq km. The island is frequently visited by wealthy tourists. 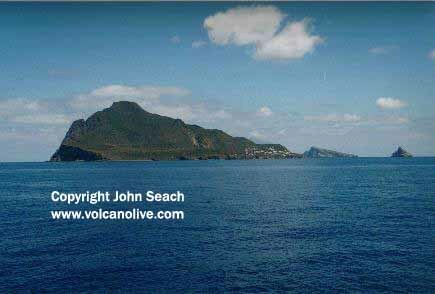 Hydrothermal activity was observed at Panarea in November 2002. Eruptions 10,000 years ago. Hydrothermal activity in 2002.